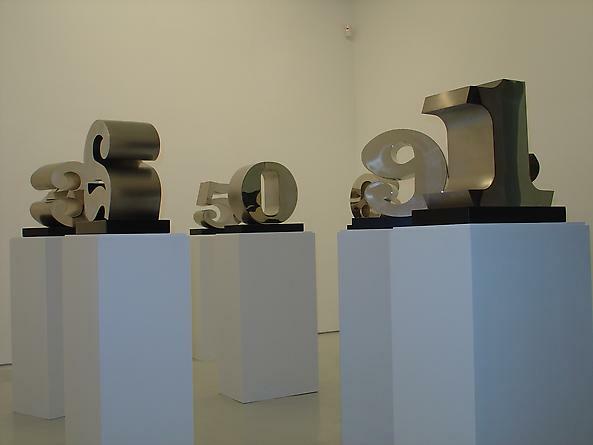 Galería Javier López presents a solo show by American artist Robert Indiana (1928, New Castle, Indiana). This show is a two part-exhibition. 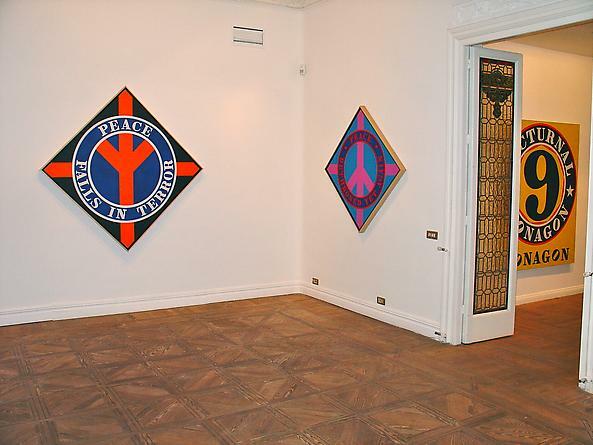 At Manuel González Longoria the focus is a selection of recent paintings, called the “Peace Paintings.” José Marañón’s space features a show of sculpture, known as "One Through Zero." He created these recent “Peace Paintings” in the aftermath of the September 11, 2001 attacks; hence it is a series that speak eloquently to universal human concerns (Peace, or even better, the loss of Peace.) Each diamond-shaped canvas features a circle, bearing block-lettered sentences about the loss of peace. 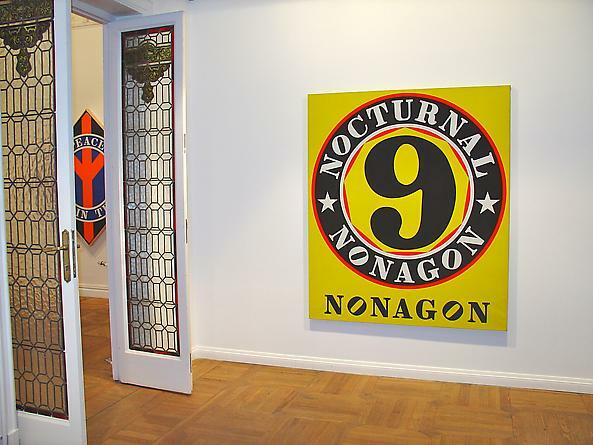 The shapes portray from abstract geometric paintings from the 60s, to traffic signs to mandalas. 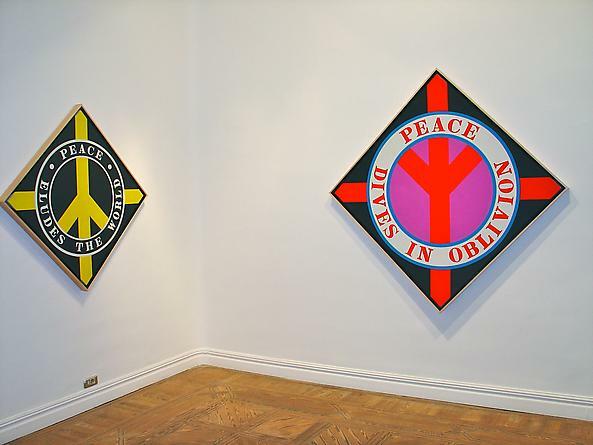 Furthermore, his use of the universally recognized peace symbol was done in response to the Vietnam War, and thus the paintings recall stylistically and politically this era. 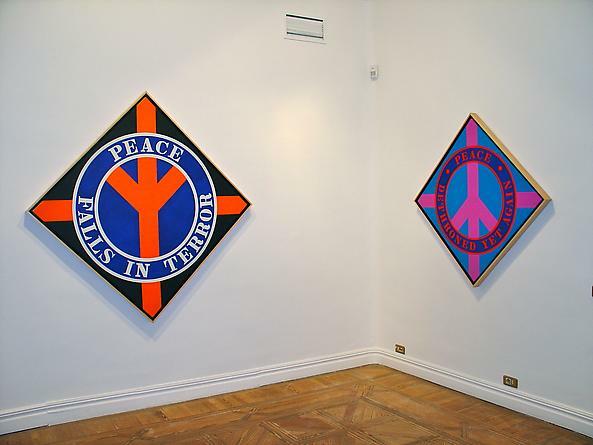 It is worth mentioning that it is the first time that the artist incorporates the word ‘Peace’ into his canvases. 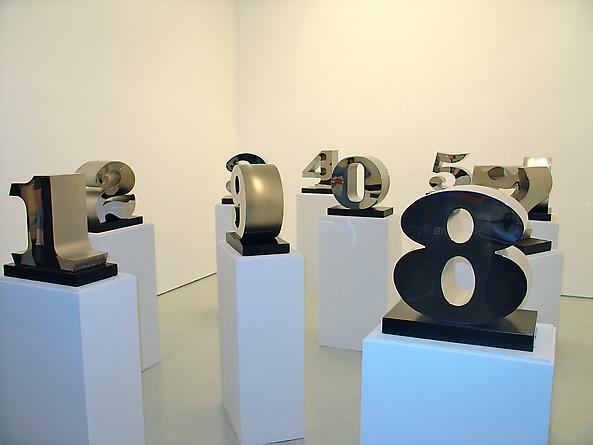 A version of “One Through Zero” fabricated in 1996 were on view in New York City on Park Avenue 60th Street and 70th Street in early 2003. The numbers and their colours were identified to represent the stages of man. 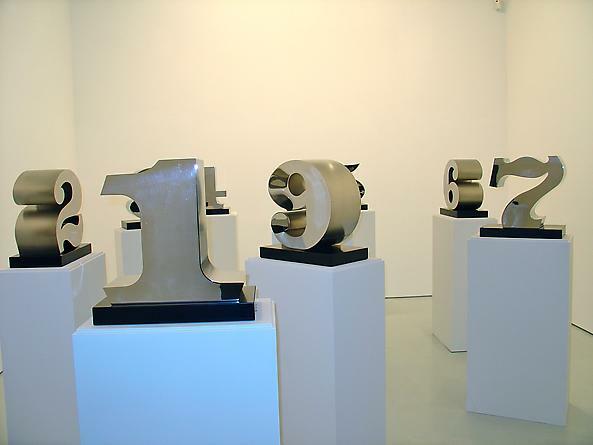 Indiana has fabricated for Galería Javier López another set of the numbers in stainless steel.